ETV’s investigative program "Pealtnägija" examined why a group of Estonian art lovers has taken upon itself the task of tracking down nearly half of Estonian artist Konrad Mägi’s lost paintings, the whereabouts and appearance of which are unknown. Konrad Mägi (1878-1925) is Estonia's most famous and expensive painter who was known to have painted 400 works of art during his lifetime, the whereabouts of just some 200 of which are known today. Assuming that half of the remaining works were destroyed in the course of wars and related cataclysms, it is possible that some 100 valuable paintings of Mägi’s remain unlocated. "Pealtnägija" and the curators of a major exhibition scheduled for next fall have issued a joint appeal to those with clues regarding the lost paintings to get in touch regarding their whereabouts. The hunt for Mägi's paintings is being spearheaded by Pallas Art Association chairman Enn Lillemets, playwright Eero Epner, senior art teacher Heldur Viires, businessman and art collector Enn Kunila and curator Liis Pählapuu. While Eero Epner is better known to the public as a playwright at Theatre NO99, he also has a background in art history, has worked in an art gallery and for the past decade or so has worked together with Enn Kunila. Kunila, who has earned his fortune in part as a shareholder in Kaubamaja and Liviko, is one of Estonia's biggest private art collectors; while he did not wish to reveal the exact size or value of his collection, it contains hundreds of pieces, including 16 works by Mägi, a particular favorite of his. What is remarkable about Kunila is that instead of keeping his collection to himself, he makes efforts to introduce Estonia's classic artists to broader both at home and abroad alike. In 2015, for example, an exhibition curated by Epner was held in Rome, the positive reception of which has inspired the planning of an even bigger exhibition — in October 2018, the Art Museum of Estonia and the Estonian Embassy in Rome will organize a solo exhibition of Konrad Mägi’s works at the Galleria Nazionale d'Arte Modernas in Rome featuring 60 paintings, including unfinished works from Kunila’s collection. The exhibition in Rome will be the most important exhibition yet of Mägi’s works abroad, which is why Epner is currently working on a new biography of the artist. It was in the process of penning the new work that Epner discovered the mystery surrounding the whereabouts of half of Mägi’s paintings. Following the artist’s death, it was determined that he had painted a total of 400 works of art, however art experts only knew the location of just half of them. 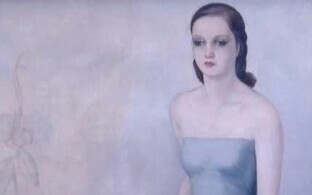 "When we saw just how many of Mägi’s works are actually lost, which may ultimately affect not only the rewriting of Estonian art history but also more broadly what we even know about our own past, then it seemed like it might be worth searching for them," Epner said, expressing hope that even one new painting may be found. A special repository located in the basement of Kumu Art Museum is home to the world’s largest collection of Mägi’s paintings, where one work is more famous than the next. One of curator Liis Pählapuu’s more precise areas of research is the destruction and disappearance of Estonian art. World War II saw the most widespread destruction of art in the country, with the July 1941 bombings of Tartu alone accounting for the destruction of an estimated 2,500 works of art, likely including a number of works by Mägi. When the Red Army returned to Estonia three years later, over 500 paintings in the Tallinn Art Museum were destroyed in the March bombings of the capital city, among them a few by Mägi. Nonetheless, it is estimated that some 100 of his surviving works, or a quarter of his entire output, remain unlocated today. Epner explained that the most difficult aspect of the search for his paintings is that nobody actually knows what paintings these may be or where they may be located. "Mägi sold his works in Russia as well; at one point he had allegedly sent 100 works to Moscow, but they had gotten stuck in customs," he explained, adding that some of his paintings were taken to America as well. Mägi also sold some of his paintings in Norway and even Paris. "We don’t know what we are looking for, but we know there is something to be found," Epner summed up. As chairman of the Pallas Art Association, Enn Lillemets is formally Mägi’s heir. He lights a candle on the artist’s grave on the day of his death and maintains his gravesite as well. Lillemets is a passionate fan of Mägi’s. "I would like to stress to the kind owners in possession of these works that they are not financial treasures but rather priceless from the perspective of Estonia’s art and cultural history as well as our people in general," he said, adding hopefully that the owners of any discovered works might exhibit them publicly too. The Art Museum of Estonia has promised that if anyone would like to provide information regarding a Mägi painting in their possession or receive an appraisal regarding whether a piece is an authentic Mägi, the museum will provide an appraisal free of charge. Liis Pählapuu can be contacted at liis.pahlapuu@ekm.ee. If anyone would like to have a work by Mägi restored and take advantage of Kunila’s promise to pay for the restoration, Eero Epner can be contacted at epnereero@gmail.com.